KATHMANDU, June 1: The number of Indian tourists visiting Nepal has seen a sharp rise after the recent visit of Indian Prime Minister Narendra Modi to Nepal, according to Nepal Tourism Board (NTB) officials. 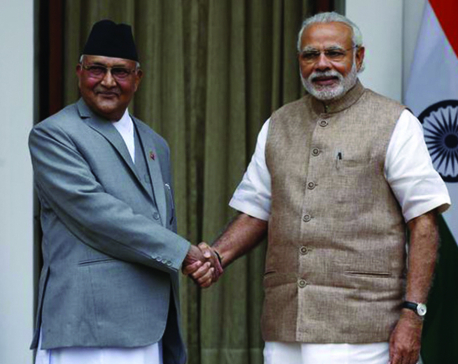 Although the official statistics have yet to be released, NTB officials believe that the number of Indian tourists visiting Janakpur, Kathmandu and Muktinath — the three places where Modi visited has increased by at least 20 percent.“Our interaction with the tourism entrepreneurs suggests that the number of Indian tourists visiting Nepal has increased by 18 to 20 percent after the visit of the Indian prime minister,” said Chief Executive Officer of the NTB Deepak Raj Joshi.Joshi attributed the increase in the number of Indian tourists also to NTB's promotional campaigns in major Indian cities to encourage Indian tourists to visit Nepal, especially to avoid the Indian summer heat. NTB launched the campaign with slogan “Garmi Se Behal, Chalo Nepal i.e. "Beat the heat, head for Nepal” from March to Mid-May to encourage Indian tourists to visit Nepal. 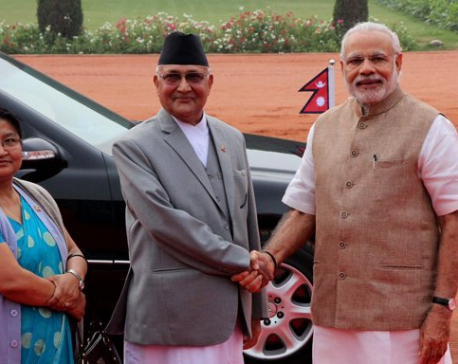 Prime Minister Modi arrived in Janakpur on May 11 in the course of a two-day state visit to Nepal. During his stay in Nepal, he also visited Pashupatinath Temple and Muktinath Temple in Mustang. Puneet Kevadiya, an Indian tourist from Bhuj City in the Indian state of Gujrat, who arrived in Kathmandu this week after visiting Janakpur, said the visit by Prime Minister Modi encouraged him to visit Nepal. “Currently, we have summer vacation. We decided to visit Nepal because the weather here is balmy,” said the high-school teacher, who is currently in Kathmandu with his family members.Local tourism entrepreneurs in Janakpur said although sizeable number of Indian pilgrims had been visiting the Janaki temple, this number has risen markedly after Modi's visit. “The number of Indian pilgrims visiting Janakpur has increased rapidly now and some are finding it difficult to find a room at Janakpur area hotels,” said owner of Good Choice Travel and Tours Birendra Sah. With a view to capitalize on this tourist rush to Janakpur, two private airlines have increased their flights to Janakpur from Kathmandu. Buddha Air, which used to operate one flight a day with its 42-seater aircraft, has recently started flying to Janakpur from Kathmandu twice a day with a new 72-seater aircraft. Similarly, another private airline, Yeti Airlines, has also started flying to Janakpur twice a day. Tourism entrepreneurs in Kathmandu say they have experienced significant rise in the number of Indian tourists. Pashupati area hoteliers and businesses also reported significant surge in the number of Indian pilgrims to the Pashupatinath Temple. Addressing a public function in Pokhara recently, Minister for Industry, Tourism, Forest and Environment of Province 4, Bikash Lamsal said the influx of Indian tourists to the Muktinath Temple, which lies in Mustang district of Province 4, had increased significantly after Modi's visit. Minister Lamsal argued that Modi's visit had given huge publicity to the shrine, which is revered by both Hindus and Buddhists. Altogether 940,218 foreign tourists had visited Nepal by air in the year 2017. Although the number does not include Indian tourists visiting Nepal through land route, Indian tourists, who constituted 17.1 percent of the total tourists visiting Nepal, dominated the international arrivals. India, China, United States, United Kingdom and Sri Lanka are the major countries that send tourists to Nepal. Although the number of Indian tourists visiting Nepal had decreased significantly in the year 2016 following troubled relation between Nepal and India after the promulgation of constitution in September, 2015, Indian tourist arrivals rose significantly in 2017, according to the Economic Survey recently by Ministry of Finance last week.